This sweet couple chose the historic Casa de la Guerra to host their wedding day celebration. For the color scheme, the couple picked the unexpected combination of yellow and gray. On the tables, this translated to gray chevron runners from La Tavola paired with bright orange and yellow centerpieces. Loose citrus added more pops of yellow and aged wrought iron lanterns added texture to the look. 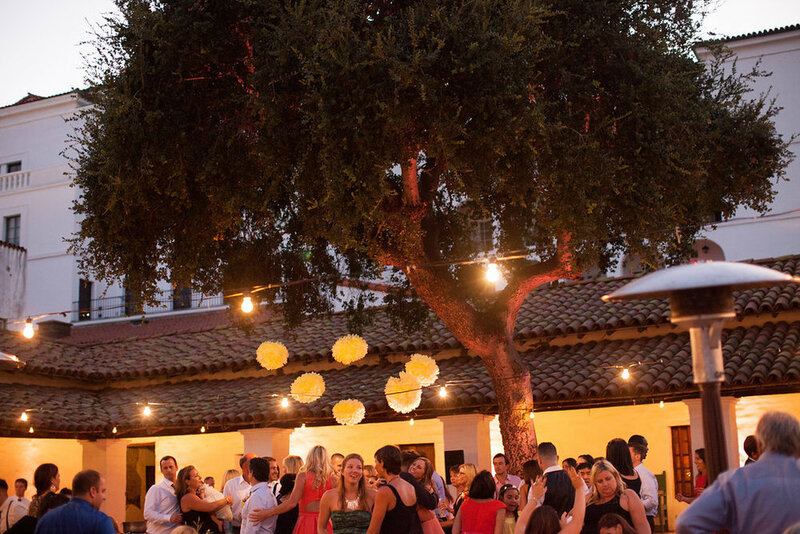 Above, Bella Vista Designs hung romantic string lights and a cluster of Chinese lanterns to mark the dance floor area. DJ Patrick Swayzak spun the tunes and had guests dancing all night. 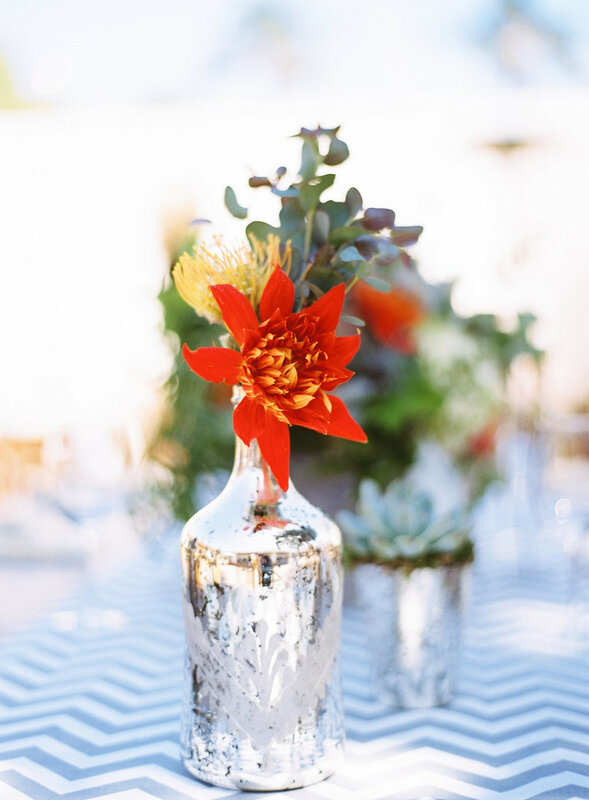 All was captured by photographer Clarissa Koenig and planned by Felici Events.